[ BayUndaground.com ] : What does the music business look like from the back door? Is it hard for an upcoming artist to release an independent cd? 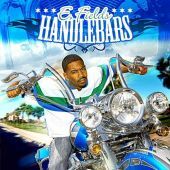 Also be sure to read the review of "Handlebars" if you haven't had a chance yet. 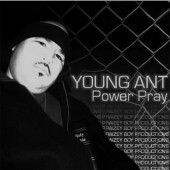 Shiesty Ridaz Productionz rapper Young Vicious reppin' Frisco will be out with his new solo album February 16th. "Hustle Muzik" will be 14-tracks deep and will include anthems like "One Tyme", "Get It", "Grimmy In The Bay" & "Welcome To The West Coast" with Young Gee & Tamira. You can now watch the video for "One Tyme" song below or at our Videos Section. 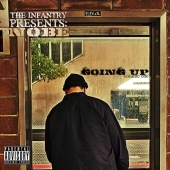 The album will also include guest appearances from Snype, Shoddy Bo, Mistah Slick, Young Cutt, Yung Gounda, Bobby T., Yung Chosen & more. Check out Young Vicious on his MySpace page. 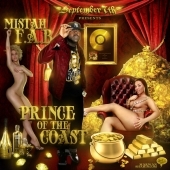 Be on the lookout for a new street project from north Oakland rapper Mistah F.A.B. dropping first week of February. His new album will be called "Prince Of The Coast" and will be mixed by Cali Untouchable's DJ September 7th. There's already a first track that leaked to the Internet called "How I Came Up" produced by Rob-E. "Prince Of The Coast" will be released under Atlantic / Faeva Afta Ent. & Thizz Nation labels. Check out Fabby on his MySpace page. The most notorious Latin group out of northern California will bring you its brand new project on March 16th. 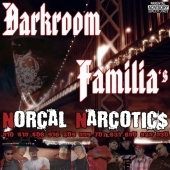 Darkroom Familia will be back with the compilation album called "Norcal Narcotics" with features from the whole DRF line-up (Duke, Crooked, K.I.D., D-Roll, Oso, Young D, Emaculate) and other Latin rappers out of their camp. The album will drop under Darkroom Studios. Check out the cover, visit DRF on MySpace and return to BayUndaground.com for more detailed information. 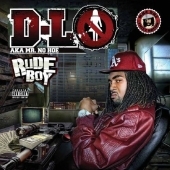 A young Oakland rapper D-Lo, also known as Mr. No Hoe from his street anthem "No Hoe", will be out with the official solo project on March 16th. 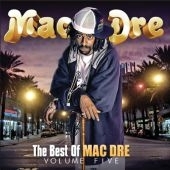 The cd will be named "Rude Boy" and will be released by Thizz Nation & Da' T labels. 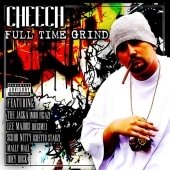 You'll hear a lot of guest appearances on this one from artists like Keak Da Sneak, Messy Marv, The Jacka, Dubee, J-Diggs, Guce, Glasses Malone, Sleepy D & more. Be sure to check out the Videos Section and search for two videos for "No Hoe" - a solo and remixed version with E-40. Get at Mr. No Hoe on his MySpace page. Be prepared for the new solo material from Fillmoe vet Andre Nickatina. 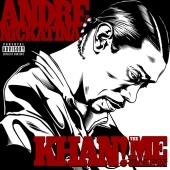 The album called "Khan! The Me Generation" will be available March 16th under I-Khan label. The first video for a song called "1-Flight" has already leaked to the Internet. Check it out at the Videos Section. The second video for a track with Paul Wall should be done in March. Get at Andre on his MySpace page. 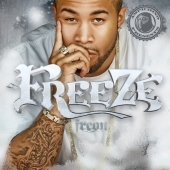 Bay Area affiliated rapper Freeze hailing from Akron, Ohio is working on his solo endeavor entitled "Freon". The album should be available March 16th under Double F Records. 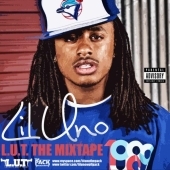 It will feature a street single "They Be Like" with Lil Wayne and guest appearances from Ampichino, Freeway, Bizzy Bone, The Jacka & Young Buck. 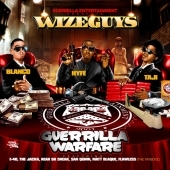 Freeze is known for his work with Regime's Ampichino, mainly for a collaboration album called "City Of G'z", whose sequel is dropping also this March. Visit Freeze on his MySpace page. Another Ampichino's fellow rapper - Young Bossi - will hit the streets with his solo joint same day as the group album from him, Ampichino & Freeze - March 16th. 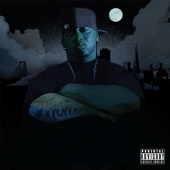 He called his solo project "Fishscale" and invited to the studio rappers like Ampichino, The Jacka & Yukmouth. 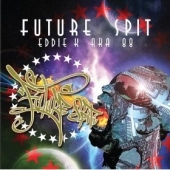 The cd will be released under Double F Records. 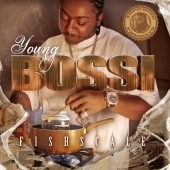 Take a look at the cover for "Fishscale" and hit Bossi on his MySpace page. 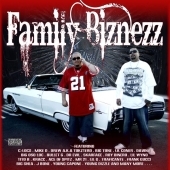 If you check out News Section daily you probably know that Sacramento rapper X-Raided is working on a group album with C-Dubb, Gangsta Reese and B. Parker called "Bloc Bizniz" which is scheduled for mid March. 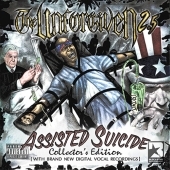 That's not all from him, as he'll release a true collector's item - double album project entitled "The Unforgiven 2.5: Assisted Suicide" which will include all songs from "Eternally Unforgiven" and "The Unforgiven 2". Not only you'll get two of his previous releases in one, but you'll also hear it in better quality. The vocals were recorded once again with crystal clear sound and the production was mastered. This collector's item will drop on March 16th under Gangway & Block Star Records. 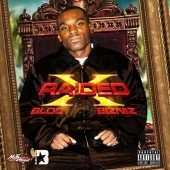 Hit X-Raided on his MySpace page. It's been a while since Sacramento rapper C-Dubb signed to X-Raided's record label Bloc Star. You'll have a chance to get his two first project from this label in March. 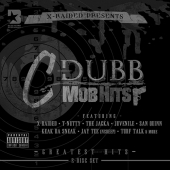 C-Dubb will be featured on X-Raided's cd called "Bloc Bizniz" and will release a greatest hits product called "Mob Hits". This will be a double album including a street anthem "Colorblind" with X-Raided. You'll also hear known tracks with guest appearances from T-Nutty, The Jacka, Juvenile, San Quinn, Keak Da Sneak, Jay Tee, Turf Talk & more. Check out C-Dubb on MySpace, cop his previous albums online at CD Baby and read the reviews of most of his cds at BayUndaground. 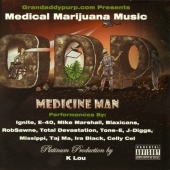 Be on the lookout for a new project from Grandaddy Purp music label called "Medical Marijuana Music - Medicine Man". 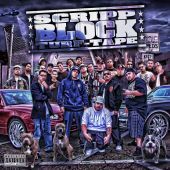 The album will feature tracks with E-40, J-Diggs, Total Devastation, Mike Marshall, Celly Cel, Mississippi, Tone-E, Blaxicans and more. The whole production will be handled by one of the best Bay Area beat makers - K-Lou. Check out the official website for Grandaddy Purp. 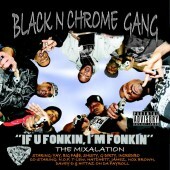 San Francisco legend and a member of RBL Posse group - Black C - will be dropping his new solo cd on April 17th. 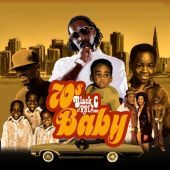 The album will be called "70's Baby" and will be released under Rightway Productions. The production will be delivered by Rome (aka Slapadelic), Rick Rock, Blunt, The Reason, Socrates, The Cheifs and Sean T. You'll hear guest appearances from Moe Da Hustla, Hermanata, Young June, Troublemaker, Simon, Devious, Martha B. & Hard Headz. Be sure to check out the Videos Section and search for Black C's latest clip called "Stay With Me" with Hermanata. Also be on the lookout for other upcoming releases from Rightway Prod. 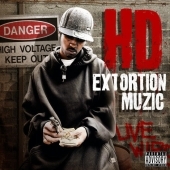 like Hitman's solo called "Frisco Legend", Moe Da Hustla - "Grown Manish" or Hard Headz cd entitiled "Grimey Season". Visit RBL Posse on their MySpace page. 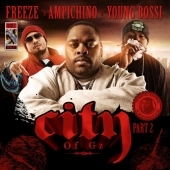 Ampichino, Freeze & Young Bossi will be back with the second part of "City Of G'z" album. Their group album will be available March 16th under Double F Records label. "City Of G'z Part 2" will include guest appearances by Yukmouth, The Regime and more. Check out the official MySpace page for City Of G'z. 07. Chick Like You f. Shavone C.
25 January 2010: Almost 500 videos! That's right, we've got almost 500 northern Cali music videos in the system. BayUndaground.com staff would like to thank once again to all the contributors who sent us the links to the videos that weren't linked yet. If you know of a video and it is not yet posted in the Video section, please suggest it. There's a simple form to fill. San Francisco rapper DaVinci (fka J. DaVinci) will be releasing his new official solo album March 9th. He's now signed to Sweet Breads Creative Collective label and his cd called "The Day The Turf Stood Still" will be presented by them. You can already listen "It's On Me" track produced by Blunt on Sweet Breads official website. Hit DaVinci on his MySpace and check BayUndaground.com out daily for more info. The new Sacramento coalition from X-Raided, C-Dubb, Gangsta Reese (also known as the Full Clip member from East Side San Jose) and B. Parker will hit the streets with their joint effort on March 16th. 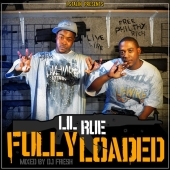 The cd will be mainly presented by X-Raided, yet you can be sure to hear C-Dubb and Reese on most of the songs. You can already listen to the single called "Speak The Truth" on Raided's MySpace. Also visit C-Dubb, Gangsta Reese and B. Parker on their MySpace pages. The new official solo album by one of the sickest northern Cali rappers - Brotha Lynch Hung - will be dropping March 23rd. You can now pre-order your copy at StrangeMusicInc.com. The price might seem a bit high ($18.98), but you must know that the order includes autographed cd, an exclusive t-shirt and a download link for an unreleased track from Lynch. The cd will include tracks like "I Plotted (My Next Murder)", "Meat" or "Colostomy Bag". Visit Brotha Lynch's official webiste and MySpace page. Crestside (Vallejo) rapper Sleepdank is out with a new solo project. 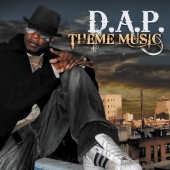 It is called "I Love Rap Money" and was released under Sleepy Kat label. It's a double disc project that features all new tracks including guest appearances from Yukmouth, J-Diggs, J-Rock, Dubee, Bavgate, Crest Creepaz, Geezy & more. Check out his MySpace page. We'll try to lace you up with tracklist soon. Oakland rapper Louieville Slugga and a member of Children Of Sin group is out with his solo album. 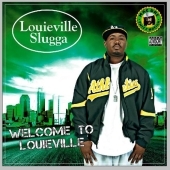 It is called "Welcome To Louieville" and was released under Thizzlamic Records. 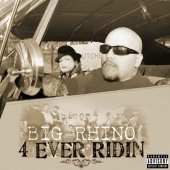 The album includes tracks like "Ice Cream" with Mac Mall & Boss Hogg, "Intoxicated" and "Don't Wanna See Me". 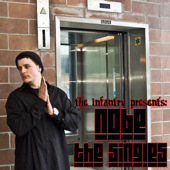 Guest appearances also include verses from Sleepdank, Children Of Sin, Malika, Shigady and more. 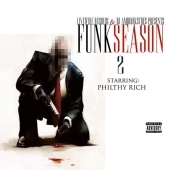 The whole production was handled by Louieville Slugga. Check him out on the MySpace page. 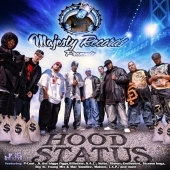 San Francisco rap label Street Cred will be pushing out the new compilation project this April. It will be called "Fumble Recovery" and will feature lots of Bay Area artists like E-40, Too Short, MC Hammer, J. Valentine, Keak Da Sneak, Mac Dre, Big Rich, Dem Hoodstarz, Messy Marv, Yukmouth, E-A-Ski, Clyde Carson, Mistah F.A.B., Rappin' 4-Tay, B-Legit, Kafani, San Quinn, Laroo, PSD, Turf Talk, J-Diggs, Balance, Cellski, J Stalin, Ray Luv & many more. Visit Street Cred Music Group on MySpace and check out the flyer. 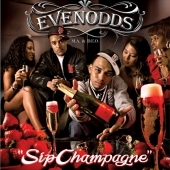 San Francisco duet Evenodds has just brought you their new single called "Sip Champagne". It is produced by M.A. and will be featured on their upcoming album entitled "The Revision". 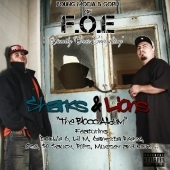 Check out D.E.O. and M.A. on their official MySpace page and stay tuned to BayUndaground.com for more detailed info on their new project. 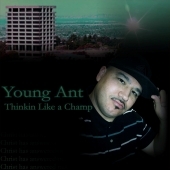 There's finally some buzz in the 831 area code rap scene. Monterey County representatives have teamed up to create a "Lil Town Savz" project. The artists are Conspiracy and Young Savi of Savage Pro'z Ent. You could already hear them on the "Savulation" compilation series showcasing the local talents. They are firstly planning to have it available via digital download and then press some units by the end of February. 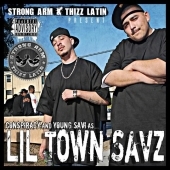 "Lil Town Savz" got support from Strong Arm and Thizz Latin. Visit Savage Pro'z and Young Savi on their MySpace pages. Stay tuned to BayUndaground.com for more info coming up soon. [ BayUndaground.com ] : And you decided not to leave the rap field. West coast rap fans are used to some gangsta / mob type of content. Do you think that this genre is a good means of promoting Christian mentality? 14. 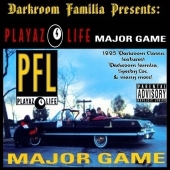 Victim Of The Game - Y.M.P. There it is - another dose of original and unique sounds from Sebastopol artist Smoov-E. "Mr. Biscuits" includes 17 songs with tracks like "Bella", "Blue Eyed Baby" and "The Fondler". 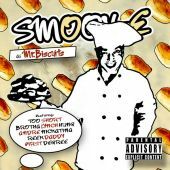 On 10th Smoov-E's solo cd you'll hear guest appearances from Too Short, Brotha Lynch Hung, Andre Nickatina & Reek Daddy. The album dropped under R.E.A.L. Records and you can get it online on RapBay.com. Check out Smoov-E on his MySpace page. Shadow is one of the vets out of Antioch. He's known for his appearances on all of the "Northern Expozure" compilations and other East Co. Co. and Sav-It-Out releases. Now it's time for him to drop a solo cd. 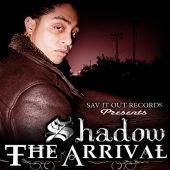 The highly anticipated solo project from Shadow will be called "The Arrival" and will drop under Sav-It-Out Records this year. It will feature Sav-It-Out and East Co. Co. camp rappers. 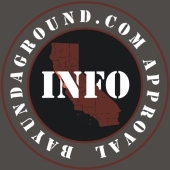 Be sure to cop previous releases from the record label on its official website and get back to BayUndaground.com for more info coming up soon. East Palo Alto camp - Spark It Up Records - lead by Smiley is working on a new compilation series called "No Suckas". These cds will feature lots of well known names out of northern Cali Latin rap scene as well as some local artists. "No Suckas Vol. 1" is almost done and will be hitting the streets soon, probably late February. Expect to hear verses from Smiley, Locs, ADR Lavey, Mars, Ed Dosia, Big Oso Loc, Zak 1, Pistol Cee, Young Azz Cuttyboy, Lefty, Chino Montana, Big Ru, Skarekrow, J Dawg & more. The cd will be available at Rasputins and moms & pops stores as well as online on iTunes. 18. Came A Long Way - K.B. 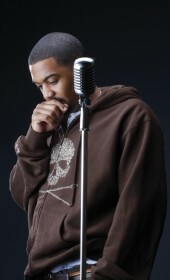 Last year rapper Cash Crop (aka B-Tee) dropped his second solo cd and re-released his debut album. Third project from Sonoma (707) representative, named "Me, Myself And I", will be hitting the streets this March. It's going to be a 100% solo cd. Also be on the lookout for a duet album from Cash Crop and Frisco artist Berner coming out in April. 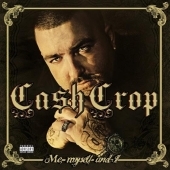 Go and check out Cash Crop on his MySpace and cop his previous releases online at CD Baby. 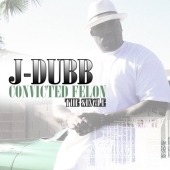 Oakland artist J-Dubb is back in the rap game. He was released from prison last year, after he served his sentence. Now you can listen to his new single called "Convicted Felon" on his MySpace page. J-Dubb is also working on the new full length solo album (likely titled "Still Game Related") and videos. It will probably drop under Live Image Music Group. Be sure to get back to BayUndaground.com for more news as we'll update you on J-Dubb's moves. We've just got some fresh news on E-40's upcoming album. As we told you yesterday the "Revenue Retrievin'" will be a double album, yet both cds will be released separately on the same day: March 30th. They'll be subtitled as "Day Shift" and "Night Shift" and will both feature different covers. 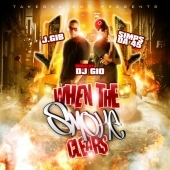 The guest appearances list is also updated and it includes: Clyde Carson, Mistah F.A.B., Dem Hoodstarz, Keak Da Sneak, San Quinn, Jacka, DB'z, Laroo, Mac Shawn, Dru Down, Messy Marv, Ya Boy, Cousin Fik, Turf Talk, B-Legit, Too Short, Snoop Dogg, Suga Free, Gucci Mane, J Valentine, Marty James, Stres, Bobby V & Lenny Williams. Both cds will feature 38 songs in total. 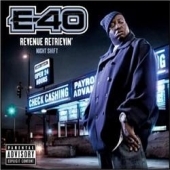 Check out the covers and visit E-40's MySpace profile. 09. Neighborhood Stars f. Too Short & Mistah F.A.B. 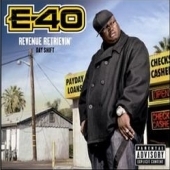 As you probably know the highly anticipated solo album from E-40 got pushed back. "Revenue Retrievin'" was supposed to drop in the end of November last year. Unfortunately you'll have to wait till March 30th. Good news is the project will be a double album. It will drop under EMI Records and will include a street single entitled "Get Money" with Young Jeezy & B-Legit. 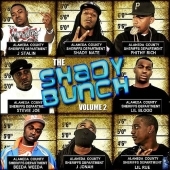 You'll also hear guest appearances from Too Short, Bobby Valentino, Sic Wid' It Camp, Messy Marv, Jacka & more. Stay tuned for more info and peep E-40's MySpace page. Make sure you get back at BayUndaground.com for more info on "Sharks & Lions". 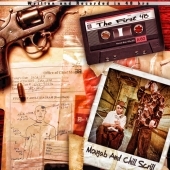 In the meanwhile check out Goph and Young Moeja on their MySpace pages. [ BayUndaground.com ] : Let's start off our little conversation with introducing your group - the Fly Street Gang. Who's on board and where are you from? 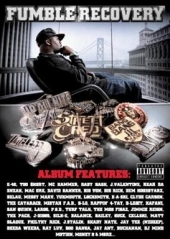 [ Fly Street Gang ] : Tah MF, Jay West and Fly Boy Phantom - we are all from East Oakland, but we were born in different cities. [ BayUndaground.com ] : How did you guys end up in East Oakland? Sacramento group Sumthin Terrible will bring their new project on March 16th. 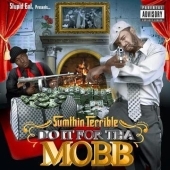 It will be titled "Do It For Tha Mobb" and will drop under Stupid Entertainment. Sumthin Terrible are Chuck Beez (now also known as Pho Sho), Sauce, Bad Business, Stupid & Clappa. Check us out soon for more info and in the meanwhile take a look at the cover and visit Sumthin Terrible on their MySpace page. Be on the lookout for a new project from North Highlands legend Hollow Tip. It will be called "Crime & Poverty" and will be hitting stores March 16th. The album will drop under Mercenary Entertainement and will feature guest appearances from Yukmouth, San Quinn, Luni Coleone, A-Wax, Smigg Dirtee, Mercenaries, Mic-C, 80 West, Mr. Blap, Nikateezy, Shay Sanchez & more. 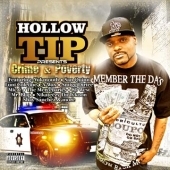 You can listen to a few tracks on "Crime & Poverty" official MySpace page and also get at Hollow Tip on his own MySpace page. East Oakland vet and a creator of Regime gang will be dropping his new project this Spring. 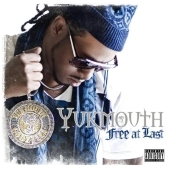 According to Yukmouth's official MySpace page the album called "Free At Last" will be available March 13th. The album will include tracks like "Dubz Up" and "211" which are already buzzing on the Internet. 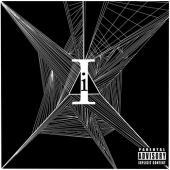 Also be sure to watch the official video for "211" track which features L.E.P. & Bogus Boys. Check out the cover and stay tuned for more info coming to BayUndaground.com. 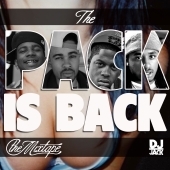 There's an official date release for a new project from The Jacka of the Mob Figaz. "Broad Daylight" will be available next week - on January 12th. It will drop under Town Records. 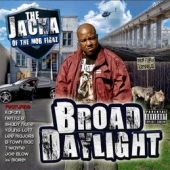 The delay was caused mainly by the decision of making an enhanced cd including footage of Jacka, ringtones & more. The album will feature production from Rob Lo, One Drop Scott and others. We'll hear guest appearances from Lee Majors, Cellski, Kafani, Shady Nate, Young Lott, Joe Blow, B-Town Mac, Netta B & now also Keak Da Sneak. 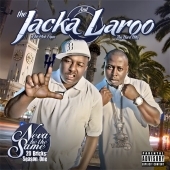 Check out Jacka on his MySpace page. 05. 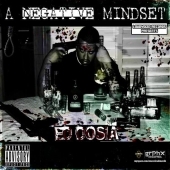 Suicide Doors f. Mistah F.A.B. Oakland rapper Snype and a member of Shiesty Ridaz Production will be releasing his second solo album on February 2nd. 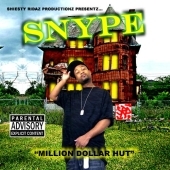 It will be called "Million Dollar Hut" and will include guest appearances from Young Vicious, Macadamion, Shoddy Boe, Hussle & Bobby T. You can pre-order your copy at snype_510@yahoo.com and check out some songs from this release on Snype's MySpace. 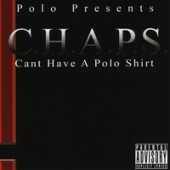 The album will be available at online spots like Rasputins, FriscoStreetShow and RapBay.com. 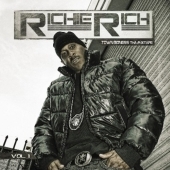 Check out the sample track from "Million Dollar Hut" cd. Well, first of all Happy New Year to all our current and upcoming readers! It's been a long time, 2010 will be yet another milestone for us. We run this website for 7 years now and due to constant enhancements and overall progress it looks as it looks now. It is possible that we will see Brotha Lynch Hung's new solo this year. Fans are a little skeptical, however an officially presented cover is a good sign. Highly anticipated by the horrorcore music fans "Dinner And A Movie" is supposed to be released on March 23rd. Time will tell, as of know peep the cover and watch for more information as BayUndaground.com will definitely have you posted on it.